Ortí, G. 1997. 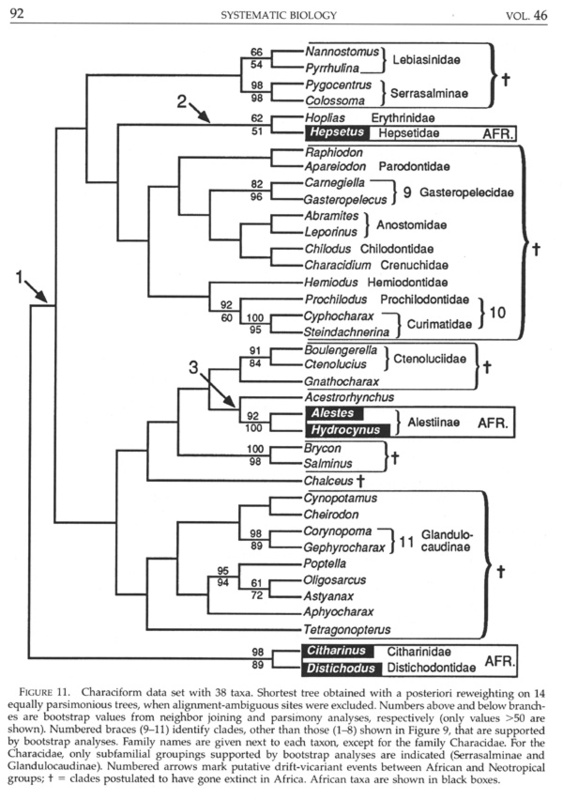 The Radiation of Characiform Fishes: Evidence from Mitochondrial and Nuclear DNA Sequences. Pp. 215-239 In: Molecular Systematics of Fishes, T.D. Kocher and C. Stepien Eds., Academic Press, San Diego, California. Ortí, G., P. Petry, J. A. Porto, M. Jeg, and A. Meyer. 1996. Patterns of nucleotide change in mitochondrial ribosomal RNA genes and the phylogeny of piranhas. Journal of Molecular Evolution 42 (2): 169-182.